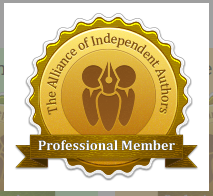 Join The Alliance of Independent Authors via their website at https://allianceindependentauthors.org. I've written in my book, Write Your Novel! From Getting Started to First Draft, how much I love Scrivener. 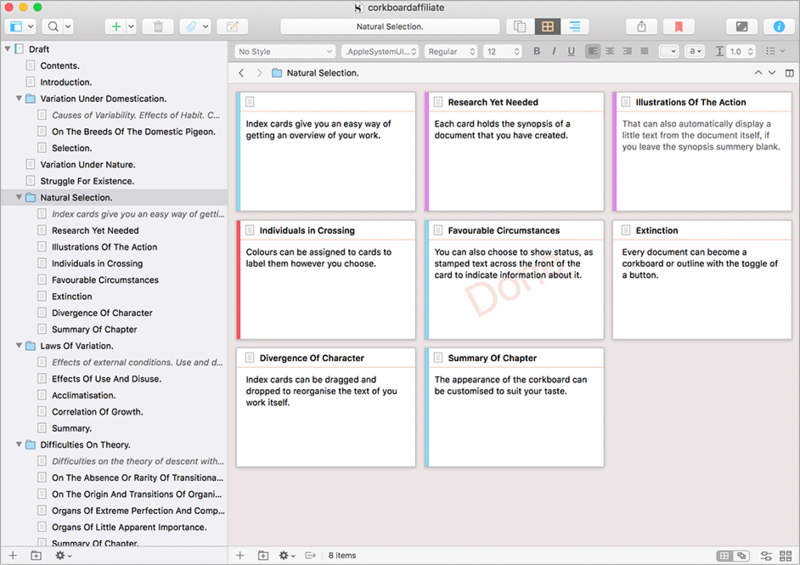 Scrivener is powerful software for writers, enabling us to organise manuscripts and research easily. Outline and structure ideas, take notes, view research alongside your writing and compose the constituent pieces of your text in isolation or in context. Scrivener won't tell you how to write—it just makes all the tools you have scattered around your desk available in one application. I love the split-screen facility, which means I can have my notes or research visible as I type. When it comes to publishing my books, Scrivener compiles them seamlessly into whichever format I require. There's a reason many top authors, such as Michael Hyatt and Joanna Penn, use this software! There's a generous trial period, and at $45 for the Windows and Mac versions, Scrivener is amazingly good value for money. The website has help tutorials and an active forum. Simply click or tap the images below. Much as I love Scrivener, there's a learning curve involved. Once you master the software, you'll never want to write without it, but you may need some assistance getting there. Enter Learn Scrivener Fast, a digital course which is the brainchild of Joseph Michael. With LSF you'll get all the help you need in a convenient package, with bite-sized pieces of information delivered via helpful videos. It’s like having your very own Scrivener coach showing you how to resolve every issue you may encounter. Believe me, mastering Scrivener is well worth the time invested, and with LSF you can do so quickly and easily. There are three levels of the course available, all reasonably priced. Click or tap the image or this link to find out more. 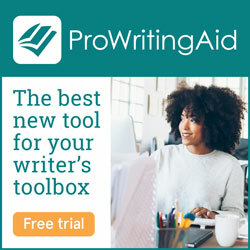 I love ProWriting Aid! It's manuscript editing software for writers, with lots of excellent features. There's a free version, but it's well worth splashing out on the paid version for its extra functionality (interactive editing, no word limit, offline as well as online use). So what does PWA do? It checks spelling, grammar and punctuation, as well as searching for overused words, clumsy sentences, vague phrases, homonyms and much more. Use it to look for cliches and redundancies, hidden and passive verbs or repetitive sentence structure. In total there are twenty-seven checks and reports, including one for plagiarism. So why not do your writing a favour, and click or tap the image for more information? Please note that the above are all affiliate links and I will receive a commission for any sales made. This does not affect the price you pay.